At Southampton, there are many opportunities to get involved with a range of events that will develop your key skills and provide valuable experience that could aid your future career. A key area of volunteering for Physics and Astronomy undergraduates is the University’s Undergraduate Ambassador Scheme. The Scheme will give you the opportunity to undertake a school or college based placement as part of an academic module and acquire teaching experience and a chance to explore teaching as a career. You can offer practical help in the classroom and help to engage pupils in their subject and motivate them in their studies. The scheme aims to encourage talented students to develop transferable skills, such as organisation, time management, presentation, communication and interpersonal skills, all of which will enhance your employability when you graduate. The Student Ambassador Scheme offers students the chance to work with local young people to help raise their aspirations, giving them the knowledge they need to make informed choices about higher education. Ambassadors’ work is varied – you may be asked to staff a stand at a careers fair, give a presentation at a school assembly, or show groups around the campus. Being a Student Ambassador will not only develop your communication and teamwork skills, it will also increase your employability and give you the opportunity to work in a variety of settings. Ambassadors are paid an hourly rate for their work. The University of Southampton is part of the South East Physics Network (SEPnet), which enables us to promote Physics throughout the region and offer support to those teaching Physics in the South East. Physics and Astronomy has a wide-ranging programme of community outreach activities to bring physics and astronomy to a wider audience. These include the School’s travelling Laser Light Show – The Light Express Roadshow – which performs to more than 2000 pupils every year. We provide local schools with hands-on educational activities and we also organise tours around the labs. Staff and students also get involved in a range of other activities, from talks on relativity through to an annual Particle Physics Masterclass. Students are encouraged to get involved in these activities, which provide excellent training for those wishing to pursue a career in teaching. 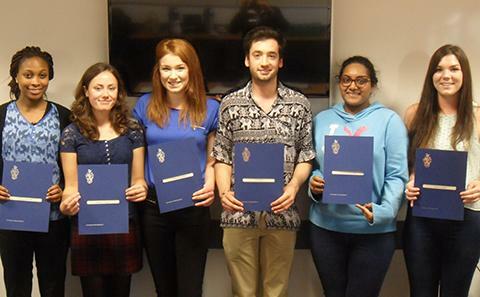 Community Volunteering is a joint initiative run by Career Destinations and the Students’ Union. It provides volunteering opportunities in a wide range of sectors to suit all levels of interest and commitment. The latest range of opportunities is available on the Students' Union website.